Commercial and residential properties in the Henley-on-Thames area of Buckinghamshire can now benefit from the best grounds maintenance service in Greater London, as well as high quality landscaping teams. 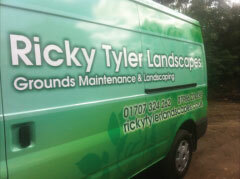 Since 2002, Ricky Tyler Landscapes has forged a reputation as one of the most proven and professional companies providing year-round services for grounds maintenance, as well as trusted management of commercial landscaping projects. Our valued client base now extends to the Henley-on-Thames area, as well as covering nearby towns such as Harpsden, Twyford and Cockpole Green. Our residential and domestic garden maintenance credentials are second to none, and we are able to perform seasonal duties and regular garden maintenance, such as lawn care, turfing, hedge trimming, grass cutting and flower bed installation. We recognise the pride Henley-on-Thames residents have in their gardens, and stand ready to advise on and manage their upkeep! Where business and commercial properties are concerned, we realise the importance of a well-presented, visible workforce, and can install any size of team to perform regular grounds maintenance. For commercial landscaping projects, we act as a partner to our clients, completing projects efficiently and to a high standard, with keeping on-site disruption to a minimum one of our main priorities. 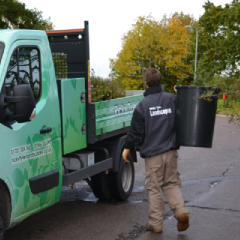 We are experts in commercial grounds maintenance, and have all the answers to keep your site pristine throughout the year, including weeding and moss control, fencing repairs and the clearing of litter and leaves by our dedicated teams. We take care of the outdoor element of your facilities management, leaving you free to focus on other areas of your site. As far as garden maintenance goes, we treat each residential customer with the same professionalism we do the commercial properties we service, and often our customers contact us after personal recommendations. Ricky Tyler Landscapes can provide gardening and grounds maintenance services including Henley-on-Thames Grounds Maintenance covering Henley-on-Thames, Buckinghamshire .